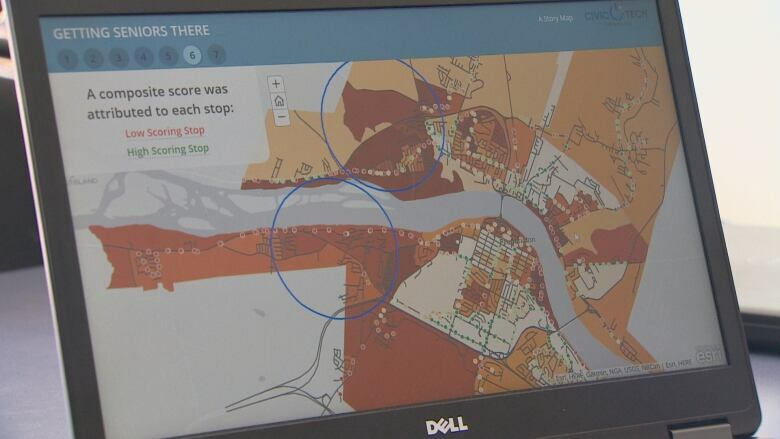 A group of tech innovators in Fredericton have used census information and the city's open data to map the city's best and worst transit stops for senior citizens — and highlight the ones that could use some upgrades. Fredericton Civic Tech, a group with a common interest in open source data and knowledge sharing to build digital tools for cities, combed through pages of data on bus stops in the city and ranked them based on a number of factors. Project leads Pierre Cormier and Kyle Roger gave the highest scores to stops with a shelter, a sidewalk, snow removal and accessibility. First, they digitally mapped all the stops. Then they used census data to map the areas where the most people over 50 live and projected where that population is likely to live in 2028. "And basically see OK, is there any room for more opportunities to improve bus stops in those areas?" said Cormier. The places where the most people over the age of 50 live, with the poorest quality bus stops, are on Sunset Drive and Woodstock Road. "It just points to the fact that transit planning, like anything else, is trying to negotiate a variety of different tensions and needs. 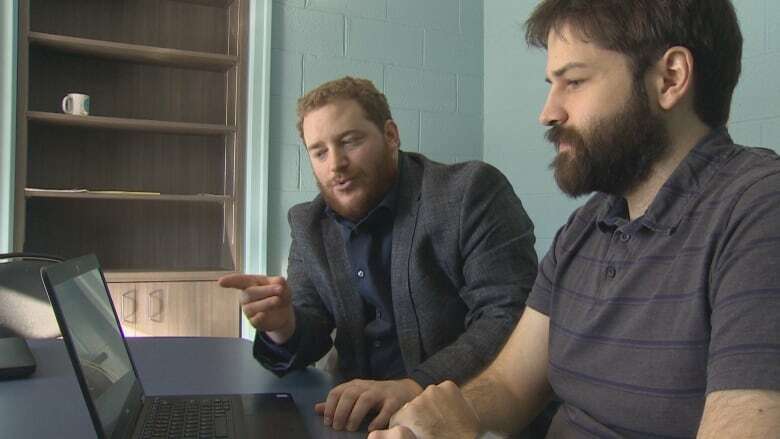 And so when we set out with this project, we didn't want to do it in the heart of criticizing the system, just helping try to find ways we could improve the system," said Rogers, who's a data analyst and public health researcher. The group's research was prompted by the Age Friendly Survey, conducted by the city last year. It showed 68 per cent of older people worry about getting around in the future and 50 per cent don't use public transit because of the poor routes and quality of stops. "Social isolation is a growing concern among a lot of public health professionals, not just for older adults but for the whole population. But there's a growing recognition that urban design can be used as an intervention in those situations," said Rogers. Places where the most people over the age of 50 live, with the poorest quality bus stops, are on Sunset Drive and Woodstock Road. He said a good transit system can be a tool that helps communities fight social isolation as populations age. "If you have a city that sprawls, you need a car or you need like a good transit system to get people where they need to go," he said. "Whereas if you have a concentrated system that's highly walkable, you're encouraging people … to walk everywhere they need to go and things like that are really quite important for the health of everyone going forward." Rogers and Cormier presented their findings in a recent data visualization competition and won second place, with a prize of $1,500 dollars. They say the money will pay for pizza at their weekly Civic Tech group meetings as they take on more projects like this. The city says it will take their data plan into consideration for its 2019 Transit Plan.